Episode 260: Are You Leaving Money On the Table? Have you at one point or another wondered if you were able to maximise profit on each deal and not leave any money on the table? Undoubtedly, this is a tough thing to figure out especially if you’re a new wholesaler who’s still trying to find your way around. The good news? 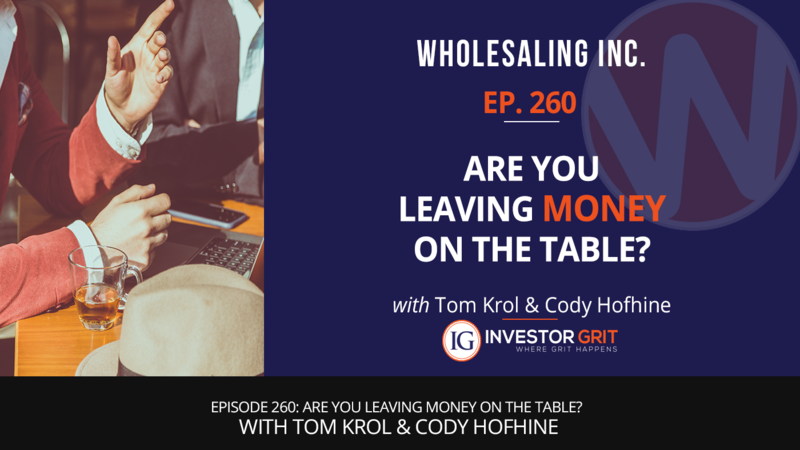 America’s number 1 wholesaling coach Tom Krohl addressed this concern once and for all in today’s special episode! Not only that, Tom also generously shared his thoughts, wisdom, and expertise on other key concerns many wholesalers come face-to-face with. Surely, this is one episode you’ll listen to over and over again!